WACO — Truth be told, Blair Henley would have preferred to play Baylor last week. 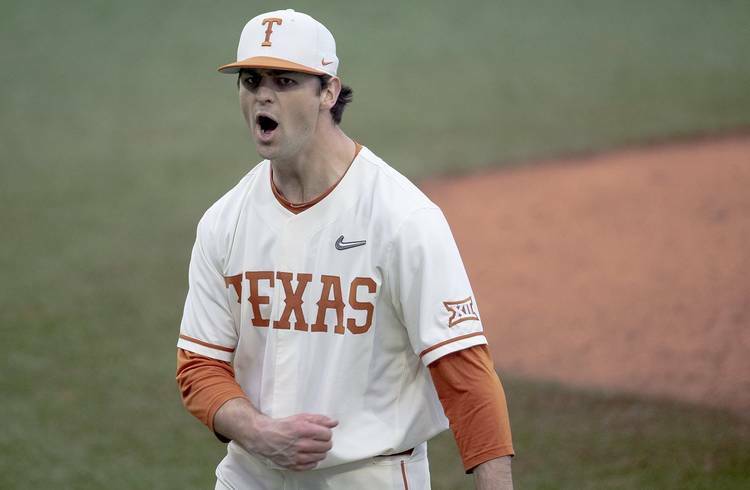 Two weekends ago, Texas’ baseball team blew two games during a trip to TCU. The Longhorns had non-conference games against Xavier scheduled for this past weekend, so Texas was stuck with the stench of those 3-2 and 12-8 losses. Earlier this week, Henley said he wished UT could have brought the anger from those slip-ups into a series of consequence. But Texas had to wait to take out its frustrations, which only grew after opening this week with losses to Texas A&M and Baylor. But at the end of that waiting period was an 8-6 win at the Baylor Ballpark on Saturday. During its victory over the Bears, No. 12 Texas (21-13; 4-4 Big 12) rallied from a 5-0 deficit. Baylor scored three times in Saturday’s first inning, and Texas was down by five runs after the fifth frame. 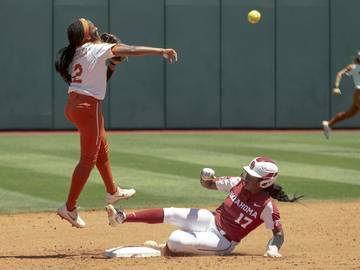 The Longhorns, though, scored seven runs over the sixth and seventh innings. An insurance run was added during UT’s final at-bat. The biggest swing of that rally belonged to Austin Todd, who clubbed a two-run homer to get Texas on the scoreboard. Lance Ford, however, turned out to be the biggest threat in the line-up. Ford had two hits that drove in three runs. He was also hit by a pitch with the bases loaded. Ford called Saturday’s game “a must-win in my opinion.” When told about that comment, Henley said the freshman infielder played like it. A disciple of Rice legend Wayne Graham, Texas coach David Pierce told his players in a team meeting on Saturday that they needed to “have total conviction of what they do.” The UT coaches were around for guidance, but it was the Longhorns who needed to take ownership of their results. That may explain why Pierce allowed Henley to call his own pitches after Baylor took its 5-0 lead. Henley threw for two more innings and was credited with the victory. Pierce said he stuck with Henley after a slow start because of the fight shown by Henley during last month’s appearance at Stanford. The pitch of the game was thrown in the eighth inning by UT sophomore Tristan Stevens. With two runners in scoring position and two outs, Stevens got Josh Bissonette on a checked swing. Following the call by John Brammer, who moved behind the plate after home plate umpire Doyle Sooter was injured an inning earlier, Baylor coach Steve Rodriguez was ejected for arguing. Baylor (22-8; 6-2) scored the game’s final run on a ninth-inning wild pitch. Sophomore Kamron Fields still earned a save and ended the evening with a strikeout. The performances by Stevens and Fields were a positive sign for a beleaguered bullpen that had struggled over the past two weeks. Around the bases: Freshman Peter Geib was UT’s designated hitter on Saturday, and he recorded the first two hits of his career. … The start of Saturday’s game was delayed for nearly three hours by weather. … Fields and Stevens combined to allow two of Baylor’s 12 hits. The Bears out-hit Texas 12-9. … Sooter was removed on a stretcher after he was hit in the head by a foul ball off Ford’s bat in the seventh inning.